In the last decade or so, this small West African country has been surrounded by political unrest and violence, and is now home to thousands of refugees. In addition, drought and rising food prices have made day to day survival extremely difficult for the population. The city of Ouagadougou is the capital of Burkina Faso and has a population of over 1.5 million. It is the country’s largest and most important city, and its population has been steadily increasing since the 1950s and continues to do so. In recent years, the country has been affected by the on-going conflict in neighbouring Côte d'Ivoire, causing increases in food prices and shortages in supply, for example of dried milk, sugar and vegetable oil. Recent post-election violence caused another increase in the number of Ivorian refugees coming to Burkina Faso. In addition, in early 2012 around 20,000 refugees arrived, fleeing the violence in neighbouring Mali; at the time of writing, many more are expected to arrive over the next months. The drought in 2011 severely affected crops, which could lead to food shortages – especially in the face of this recent influx of people – as well as tensions within the struggling population. Shelter, food and medicine continue to be the greatest concerns in the region and support is urgently required. In 2011, Burkina Faso saw its own share of internal conflict and, although the situation has now calmed down, the peace continues to be fragile. The recent global rises in food prices, in particular, have severely affected the population. In urban Ouagadougou, unemployment continues to be a great problem, especially amongst the young. In addition, the seasonal and often difficult nature of rural, agricultural work means that thousands migrate to the city each year in search of work – which is simply not available. This adds to the level of poverty that exists in the city. The precarious socioeconomic situation, in combination with internal migration, makes many families incredibly vulnerable. Children, young people and women are most gravely affected. 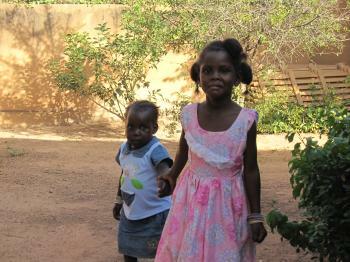 Around 46 per cent of the population of Burkina Faso are under the age of 15. For many children and young people, educational opportunities are not available and the future may look rather bleak. Families urgently require support so that children can grow up to be healthy and confident adults. 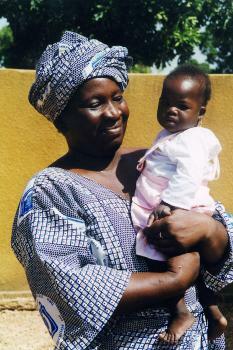 SOS Children’s Villages began its work in Ouagadougou in 1997 to help vulnerable children. The SOS Social Centre here offers a family strengthening programme to the local community. One of its main goals is to ensure that children have access to essential material, educational, health and social services. The programme also supports families from the local community in building their capacity to care for their children, for example by providing guidance on income-generating activities and parenting skills. The SOS Social Centre also provides health services, counselling and psychological support, as well as care and support for families affected by HIV/AIDS. Around 250 people benefit from the programme. For children from the region who can no longer live with their parents, twelve SOS families can provide a loving home for up to 120 children. In each family, the children live with their brothers and sisters, affectionately cared for by their SOS mother. The children attend the SOS Kindergarten together with children from the neighbourhood and then go on to complete their primary education at the SOS school. This ensures that children from SOS families make friends and are integrated into the local community from a young age. When young people reach an age where they are ready to move out of the family home in order to pursue vocational training or higher education, the SOS Youth Programme makes shared accommodation available. The young adults are supported by qualified counsellors as they learn take responsibility, plan their future and prepare for independent life.